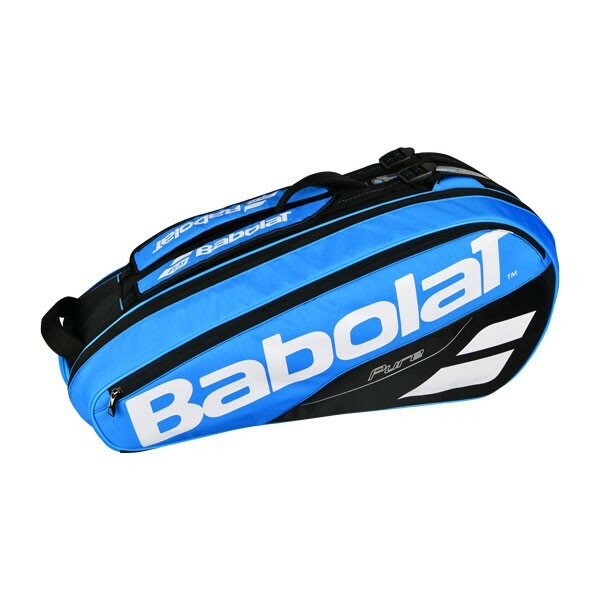 The NEW Babolat Pure Line 6 Pack Bag is the perfect size when packing up to hit the local courts. This bag has two large main compartments, one featuring the Isothermal Protection to keep your racquet and strings safe from extreme heat/cold/moisture! Each compartment will hold up to 3 racquets. An exterior tunnel pocket with ventilation is ideal for carrying shoes, sweaty clothes, or wet swimwear. The side of this bag has a generous accessory pocket with internal organization to help keep your small items easy to find. The attached, comfortable and adjustable backpack straps makes it easy to carry. Exterior grab handles on the top and middle of the bag make it easy to just grab and go on the run. This is a very well thought out design with ergonomics to fit every need!